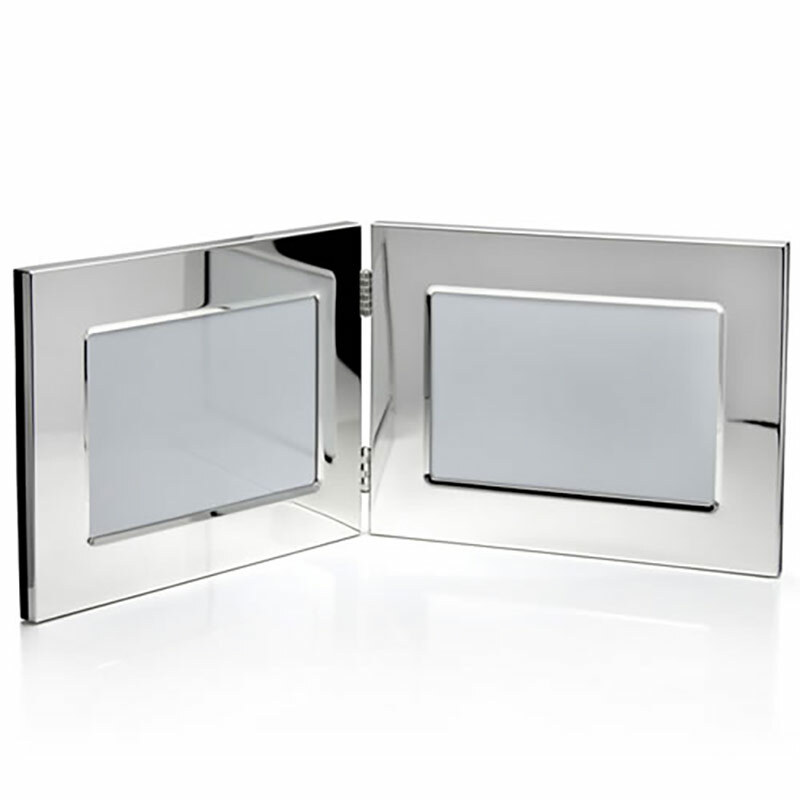 A classic hinged double photo frame in landscape orientation, featuring a fine quality silver plated finish. These stylish frames are sized to accommodate photographs 3.5in x 5in. They can be engraved on the frame to create branded corporate gifts, commemorative gifts or awards, or personalised gifts. Remember, we offer free engraving of text and logos on all orders, along with low fixed cost UK delivery.